A few years ago, the owners of the restaurant inside St George Maso’s at Mortdale changed. It is now called The Brasserie. There was a time when it was hard to get a table. Despite the menu, food and staff all improving, the clientele has dropped substantially. Now you don’t even need to book ahead. The outlook at The Brasserie is pleasant. 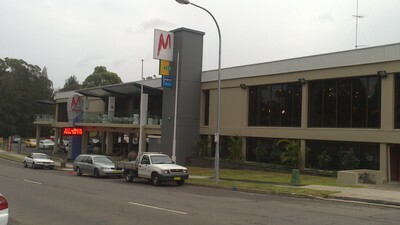 There are many tables, some with views across Roberts Road onto the tennis courts and Hurstville Golf Course. A recently built complex is about to open next door with a Woolworths and Crunch Fitness centre that will dramatically change traffic conditions. The restaurant has its own bar, so you don’t need to traipse past the pool table and in front of the giant screen to get yourself a drink. You order and pay at the counter, and then take a number to place on your table. The food, as mentioned, is very good. 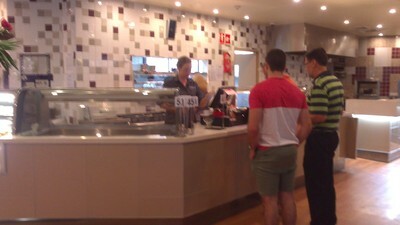 The choice includes salads, burgers and wood fired pizzas, as well as noodles, pasta, seafood and meat dishes. The special Chef’s Menu changes weekly. On this particular occasion, we had a large group, so there was a wide variation of meals ordered. 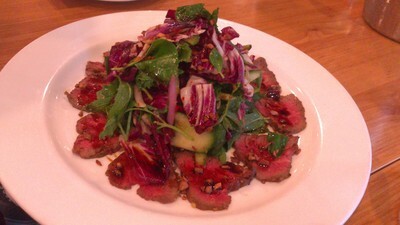 Popular was the Thai Beef Salad, with the beef being thinly sliced and cooked rare. 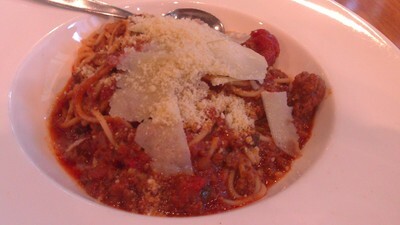 I always believe a measure of quality for a restaurant is the standard of their spaghetti bolognaise. It was excellent, full of meaty-tomato flavour, with slices of parmesan on top. It didn’t look large in the bowl, but proved satisfying. Another favourite is the garlic prawns. 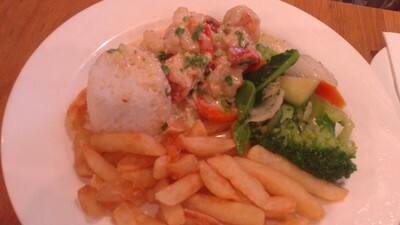 There were plenty of prawns on the plate, and they were cooked to tenderness. They came, as with a lot of meals, with a choice of salad or veggies and chips. 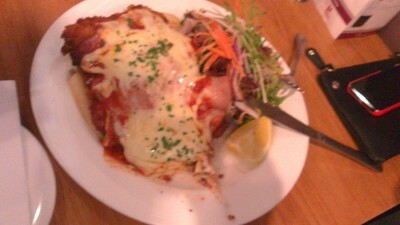 As did the chicken parmigiana. The salmon was large and sat on a bed of mash. 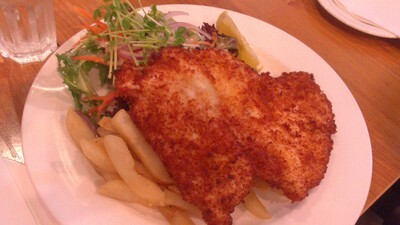 Meanwhile, another member of the group had chicken schnitzel, and it was so huge it was like a blanket over the plate. The dessert selection was not especially enticing – perhaps a sign of the dwindling customer base… don’t want to have too many desserts left over at the end of the night. There are daily specials that they call Hunger Busters, each at $12 a meal. There are kids’ meals for $10 each, but the choice is limited. The Brasserie is located upstairs at Maso’s which is a Masonic Club, so you need to be a member or sign in to be admitted. Where: St George Maso’s, 86 Roberts Avenue Mortdale NSW. 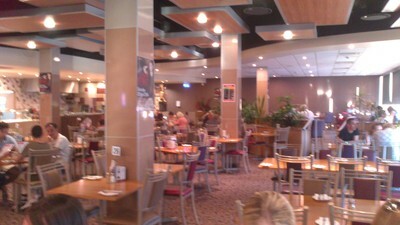 Why: Good food, and plenty of tables. When: Open 7 days, lunch and dinner. Good for kids: Yes, they love families and kids. Do you watch The Thunderbirds?